International Pop the new exhibition at Walker Art Center brought back a lot of memories for me of my days in art school in Chicago when Pop Art first popped unto the cultural radar. Andy Warhol was a role model for a few of us as to how the art world worked and how things are never precisely as they seem. First we were fans because Pop Art was really driving the older teachers bananas as it was so commercial in outlook and it was moving away from the entrenched modernism (abstract expressionism in particular). Clem Greenburg's famous essay about Kitsch being the devil (anti- Raushenburg and Johns) was the canonical text of the moment, kitsch was everthing that wasn't abstraction the fear of losing abstraction as the highest good the measure of all things seemed at the bottom the reason Warhol in particular was seen as the end of everything significant, art must never give in to mass tastes . We were in Sonia Sheridan's silkscreen classes which at that time were the hottest classes at SAIC (The School of The Art Institute of Chicago) and this was the time when Warhol and others were making silkscreen the medium du jour. This printing technique connected us with the most exciting art work being made at that time ie. Raushenberg Warhol and others using commercial techniques to mimic commercial appearences of products we used in everyday life like soup cans and Brillo scouring pads etc. This desire to make things that looked as if they were mass produced was at the bottom of our desire to escape the abstract expressionist rat maze. We wanted to be of our times not part of something that had happened and become academic (historical modernism). Pop Art in all it's variations was idea art art about something more contemporary less about our interior life and more about the world yes the commercial world of images that surrounded us. International Pop was a given it seemed as much an invention of the British artists as the American ones. The French did it and the Spanish and others all over the world though the art world of 1964 was not the art world of today communication-wise for sure. Studio International a British art magazine brought news of pop art in Europe particularly in the UK where many artists were working in a Pop mode Peter Blake , Hockney , Allen Jones too many to mention. Point being that Pop Art was an international style dominated by Brits and Americans at the beginning. Later the scene in Los Angeles began to go Pop and variations of Pop that were unique to the region. In the mid 1960's movements seemed to come and go with the seasons like fashion trends pop then op then minimal and conceptual art as if the idea the underlying concept had become the uniting factor between often quite different kinds of art. Because these works were shown together in exhibitions and in magazines Warhol and Don Judd seemed very alike one another repetitive serial in nature one with images one without like ice cream with nuts or no nuts. At this time the idea was king it was what curators taked about it was what we searched for it was the main activity. The fact that artists all over the world were interested in ideas and in this particular idea was something we'd seen before with abstract expressionism which was all over the place in Japan and Europe etc. same thing seemed to happen with art movements becoming more and more international conceptual art was everywhere as was minimalism. Recently artists have bemoaned the lack of craft and history in present day practice . The origin of this would seem to reside in those heady days when Pop Art overwhelmed other styles and made the idea king. Like they say in stories we can never go back we have to deal with what has happened not with what we wish would have happened. The I Pop exhibition reminds us how much we didn't know at the time and how much we still don't know about how ideas move around the globe. I contend that the age of Pop Art was the dawn of the so-called Global Age we live in today. That our recent past is just coming to light in exhibitions like this one and a similar exhibition of this type coming to the Tate soon. As much as contemporary art is the concern that we share the history of contemporary art is written in stages as it unfolds. Indeed contemporary art maybe the first draft of our new art's history we know a lot more about Pop now than we did in 1964! Globalism is a trend of our times because we have better ways to find out things and better means of communication. 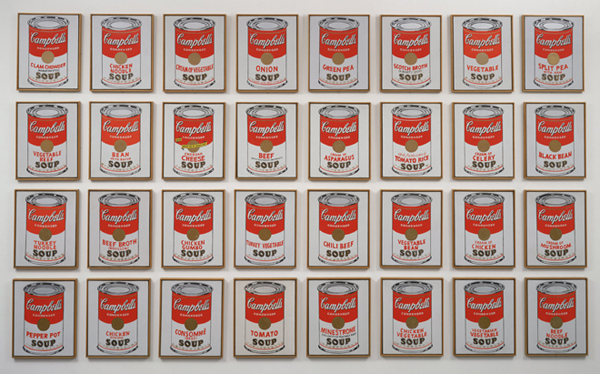 The art world that Pop Art grew in was tiny compared to the scene today. When Raushenburg won the Golden Lion prize at the Venice Bienale in 1964 he was the first America to do so, it was big news and his work was seen everywhere after that. He was a tremendous influence. But many stories remain to be told. History has a way of coming forth at an organic pace, as new things are found as in a mystery story. I for one can't imagine Pop Art without my friend Peter Saul 's art. And others who worked the fringes and the borders between this and that. I appreciate Darsie Alexander and Bart Ryan the curators of this exhibition uncovering more to the tale of Pop. And how it opens up the old ideas and let's in some fresh light.